In 2011, the American Membrane Technology Association (AMTA) embarked on an ambitious effort to preserve the history and evolution of the membranes industry. The project complimented a tradition of recognizing outstanding achievements in membrane technology and the awards extended to deserving recipients throughout the year. As many of the founding Pioneers began to retire, the AMTA Board recognized that their first-hand accounts would be lost forever if they weren’t captured in some way. 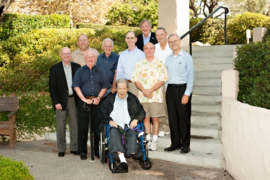 AMTA established a special committee that included Ian Watson and Doug Eisberg who embarked on the “Chats with the Pioneers” program, a series of personal interviews with key innovators, researchers and company founders. The men and women were contacted then grouped by the corporation they worked for or the key development they participated in. A total of 36 interviews were conducted and Ian himself was the subject of the final Chat in the series, recognizing his own contributions. The groups were seated in informal settings and each interviewee provided a compelling overview of how they found themselves working with membranes and what contributions they made to the burgeoning industry. Many were deeply involved in membrane development from its initial concept and revealed a variety of little known facts including how the optimal diameter and length of membrane elements was determined, how the feed channel spacer was developed, and who originally coined the term “nanofiltration”. A common theme was the geographic mobility Pioneers exhibited as their company’s evolved from start-up entities to profitable corporations, traveling around the world to commission new projects and penetrate emerging markets. Many spent years in the Middle East, Chile, Bahamas, and Canary Islands where the demand for quality water motivated governments and private industry to embrace an intriguing but unproven membrane separation technique to meet their critical water supply goals. This is why so many of the initial large scale membrane installations were commissioned in Saudi Arabia. The industry owes its gratitude to these forward-thinking sponsors whose willingness to take a risk afforded the monies necessary to fund continued innovation. Likewise, the pursuit of government grants and subsidies, particularly from the Office of Saline Water, was critical to funding early membrane development. 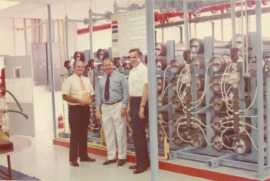 The spectacular rise of the semiconductor industry in the early 1970’s and the corresponding demand for high quality water propelled the fervent development of reverse osmosis (RO). Semiconductor manufacturers wanted to replace costly pure water deliveries with water produced on-site. As continued innovation resulted in smaller and smaller chips, water quality and availability became increasingly critical to achieving higher production yields. RO systems were installed upstream of traditional ion exchange beds to reduce IX regeneration cycles. But operators soon recognized that the addition of RO also resulted in a corresponding increase in chip yields and as more and more semiconductor plants embraced the technology and enjoyed its rewards, competitive pressure mounted on those slow to accept the conversion. One semiconductor facility was reportedly selling a million dollar chip for the Hell Fire Missile, meaning that even a modest increase in chip yield could have a significant impact on the company’s overall success. At the same time though, analytical technology was far behind the capabilities of RO and levels of key contaminants to semiconductor chip production including silica and TOC could not be easily or accurately measured. Counting the final yield was the only way to confirm that the RO was producing acceptable quality water. Historic pictures from the early days of RO. The success of RO in these industrial applications provided the seed monies for continued membrane development. But Pioneers recall the resulting growing pains and a frustration with the ever changing market direction which abound in these interviews. Some of the most interesting and amusing though focus on issues related to early developments. For example, the decision to use stainless steel pressure vessels resulted from difficulties with epoxy coated pipes that had a tendency to chip. The industry settled on a universal 4” diameter element to take advantage of readily available and inexpensive PVC pipes that could be used as pressure vessels. Wooden tongue depressors kept membranes from folding over during casting and turkey basters proved to be the perfect tool to remove air bubbles and the resulting defects from membrane surfaces. One gentlemen commandeered his wife’s nylons to see how the material might perform as a permeate carrier. On-site failures of coated steel pressure vessels and the resulting safety risk become a driving force behind the development of fiber-reinforced plastic vessels. A key fundamental that many of the Pioneers shared was a mantra to never do any work for free and to always ensure the work they were doing satisfied a marketable need. One recalled how they developed an ultrafiltration (UF) membrane to separate proteins from cheese whey in the early 1970’s. Another separated enzymes from mother liquors, a process that caught Merck’s eye and resulted in a profitable acquisition. Coca Cola sold a high protein fruit drink into South America, manufactured using a cheese whey protein collected with a UF membrane. One customer wanted to use membranes to produce clear beer, which good or bad, didn’t quite catch on. Another group installed a UF/RO unit at a hydroponic cucumber factory after the plant discovered that waters high in sodium caused cucumbers to curl. Operators preferred straight cucumbers which passed more readily through their wrapping machines. One Chat followed the start-up of a Florida company in the mid 70’s that focused on promoting cellulose acetate membranes. 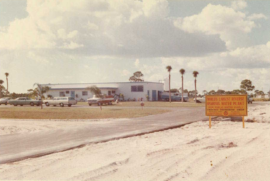 At the time, most Florida plants were treating surficial well waters high in organics and there was a need to reduce the Trihalomethane precursors but maintain the salt content. Membrane softening was developed to meet that need, reducing TOC while maintaining a sufficient level of salt. One Pioneer developed a nanofiltration membrane to separate red dye from a process stream. They soon realized though that a hydrolyzed cellulose acetate membrane provided a higher salt passage while still rejecting the dye. But development had already begun on a composite membrane technology with a thin membrane layer and it would prove to revolutionize the industry. At the same time, designers were pushing the envelope in RO system operation, not yet recognizing the phenomenon of membrane flux or concentration polarization and how each might impact the overall success or failure of membrane performance and longevity. A variety of unforeseen operational issues also surfaced as membranes introduced new standards in water quality and adaptations were necessary to address the aggressively low TDS of RO permeate. Yet the industry continued to flourish. Membrane technology had its fair share of naysayers and a number of the Pioneers regretfully recalled missed opportunities to purchase a company on the verge of greatness or the arrogance of a management team that simply couldn’t see the enormous potential of the new technology. Several Pioneers vividly remembered campaigning for spiral wound RO element configurations, recognizing early on that it would prove to become the industry standard, but managers remained unconvinced and their companies eventually dissolved as the configuration ultimately dominated the market. Some companies flourished while others were acquired, and many fell to wayside, victims of talented innovators who lacked business acumen. Many of the Pioneers founded their own companies and were eager to share their stories, successes and failures. Others worked at the industries landmark companies including Aqua Media, CodeLine, Separation Processes, Basic Technologies, and Separation Engineering, and Ionics. Most worked for several companies over the course of their careers and almost everyone determined that if they had to do it all over again, they wouldn’t change a thing. Fortunes were made and lost over their fifty plus years in the industry and they learned valuable business lessons, negotiating joint ventures and partnerships and amassing a cache of operational and installation experience which later become the genesis of the manufacturers’ guidelines. From left, consulting engineer Ian Watson chats with Aqua Media’s Jaren Leet and Michael Stefanic, along with Hydranautics’ Dirk de Winter. The Chats offer a timely and vivid portal into the origins of our membrane industry, but more importantly, they may also provide an invaluable guide for the future. Water concerns remain a high priority around the world and the increasing prevalence of membranes for water reuse introduces an abundance of technological and application challenges. Fouling resistance, side stream disposal, energy cost and use and increasing efficiencies all demand creative innovation. Market niches for emerging new materials such as aquaporins, nanotubes, graphene and new technologies including forward osmosis look promising, but they’ll require the industry’s best and brightest to reach their full potential. As our Founders foretold, continued progress and innovation relies on the cooperation and financial investment of leading edge companies, governments, and sponsors whose willingness to take a risk provides the monies needed to keep us moving forward. The “Chats with the Pioneers” is a compelling tribute to our industry Founders. But make no mistake, there is a new generation of dedicated Pioneers working among us today whose groundbreaking innovations continue their legacy, creating new opportunities for all of us and unlimited possibilities for membrane related advancements.